Saturday-Sunday Special, Tampa Bay Storm Cheerleaders, Amber and Kayla. 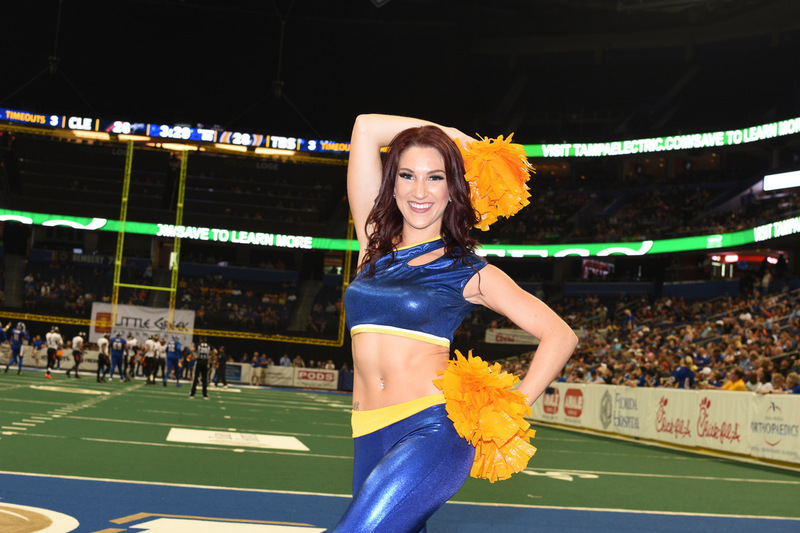 Here’s our second installment of recent photos of the Tampa Bay Storm Cheerleaders.  See our updated album below. 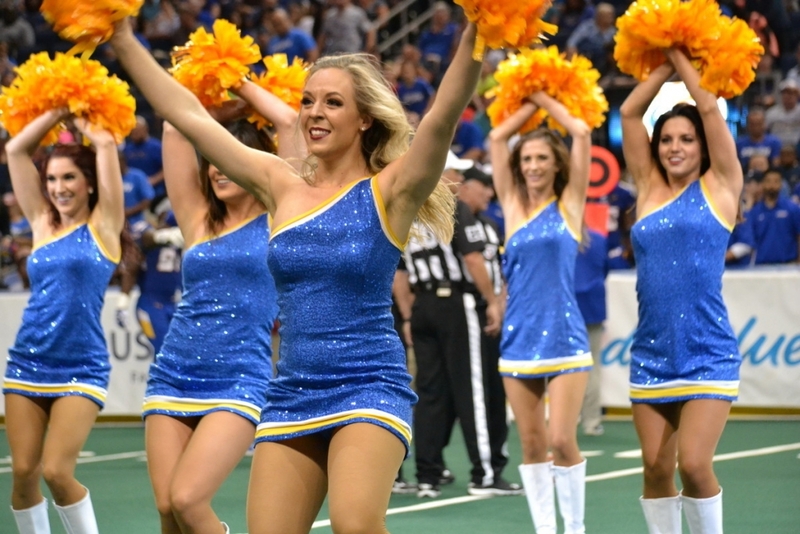 The Tampa Bay Storm, 5 time Arena Bowl Champions, will travel to Philadelphia to play for a 6th title on Saturday, August 26th versus the defending champs Philly Soul. Offensive fireworks galore!!! 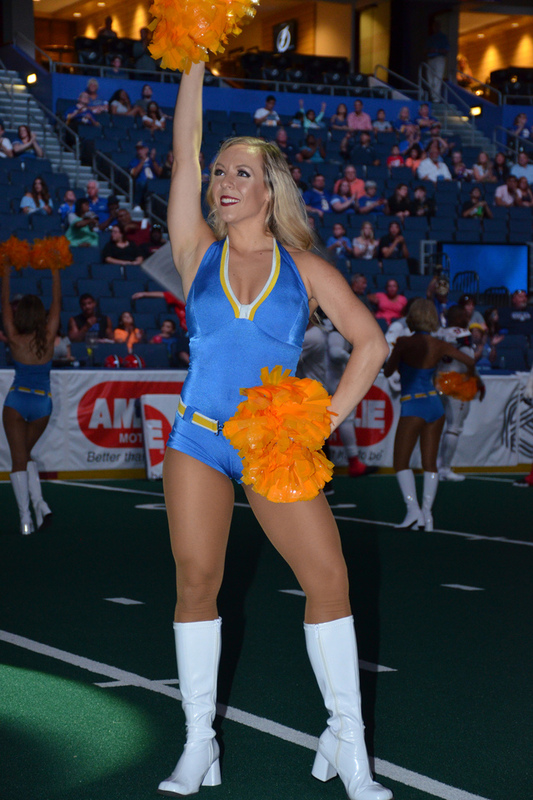 Here’s a photo recap of the Storm cheerleaders from Monday’s 73 to 59 playoff victory over the Cleveland Gladiators. Check back tomorrow for our part two coverage. Hopefully you were with us yesterday for Part One of our coverage of the Storm victory on Saturday night. Hey Mr. Greg Wolf, ain’t victory sweet!!! Stephanie at halftime with the Juniors. 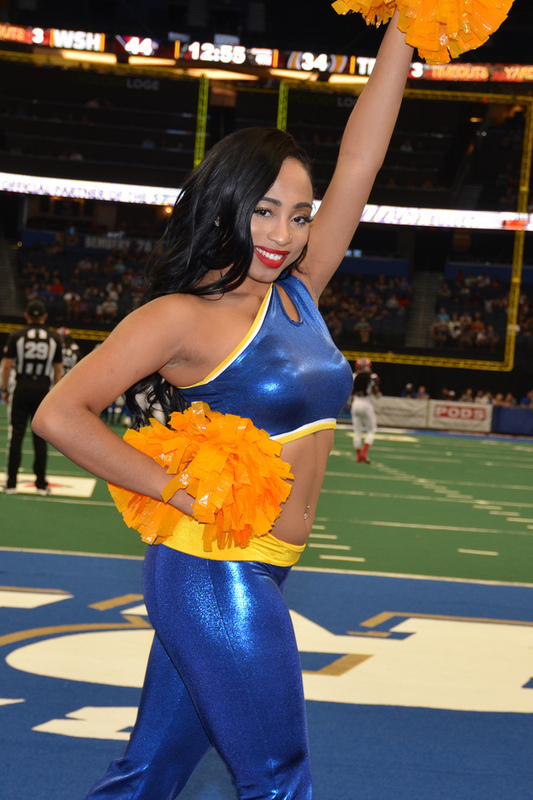 Hooray to the Tampa Bay Storm who will be hosting an opening round AFL playoff game in August. 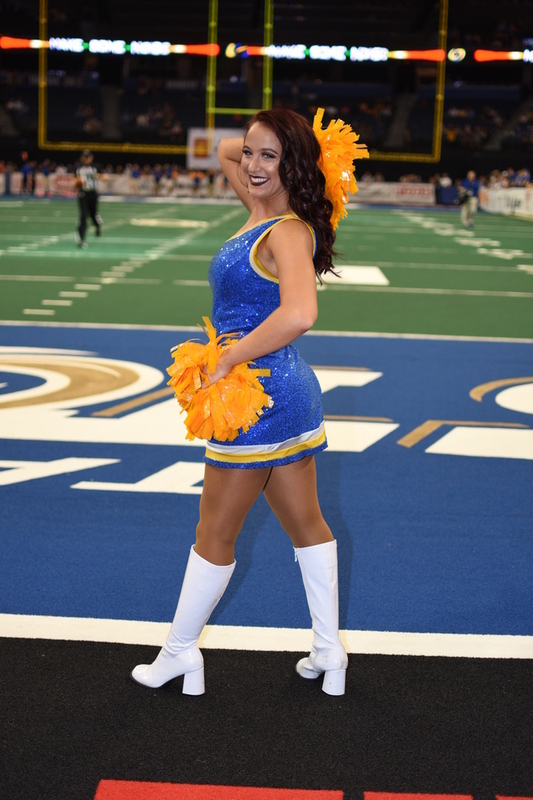 Fan Appreciation game will be July 22nd, ticket information is posted on the Storm website HERE. 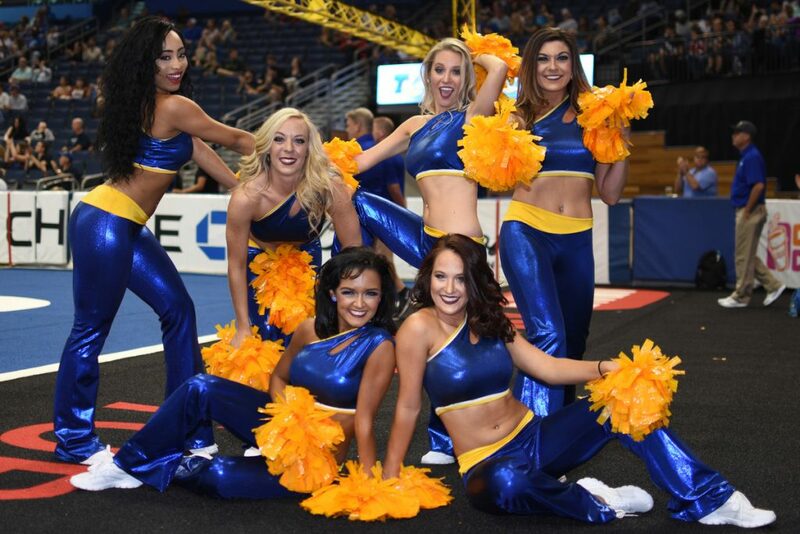 We all know that the player success is directly tied to the magnificent support by a great fun-loving group of Storm Cheerleaders who are led by Manager Kindra Ebanks. 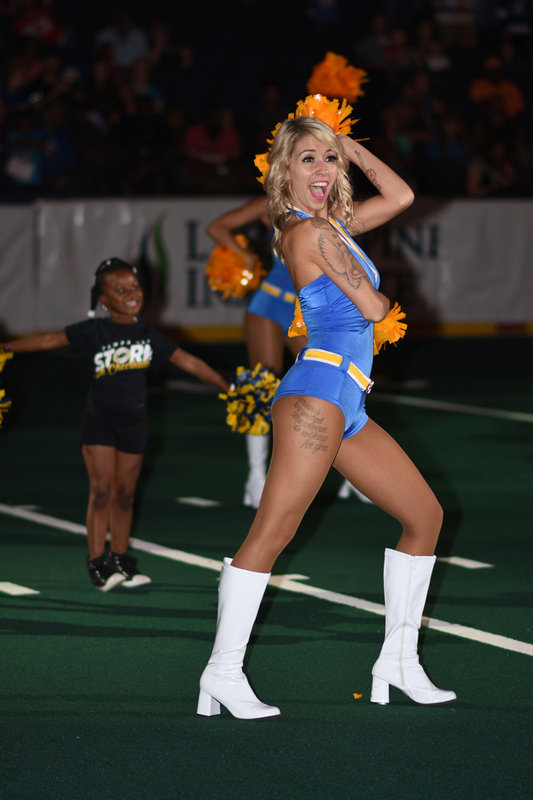 The Junior Storm Cheerleaders also helped as they performed at halftime on Saturday night. Enjoy some photos from another late game victory (scoring twice in last 40 seconds) over the Washington Valor and then check back with us tomorrow when we process our game album. On the Plaza greeting fans. 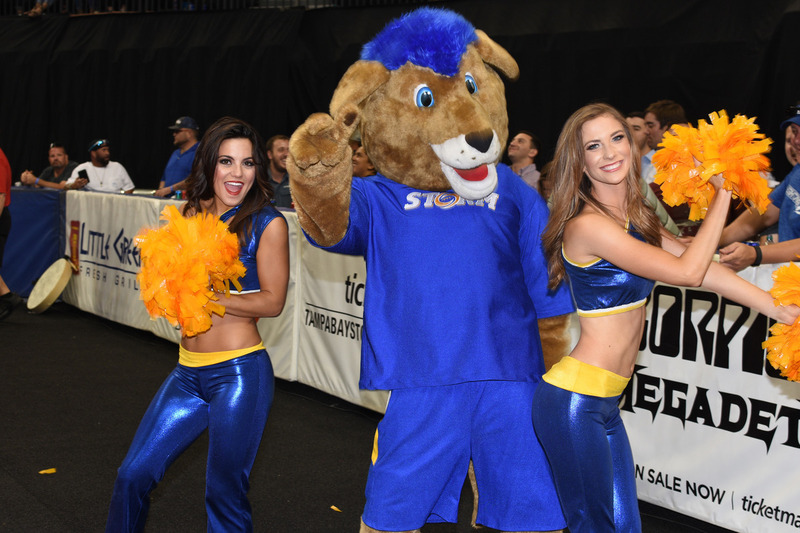 Website of Storm Cheerleaders is HERE. Great victory last Saturday night as the Storm blocked a field goal on the last play of the game to secure a 41 to 40 win over the Portland Steel. 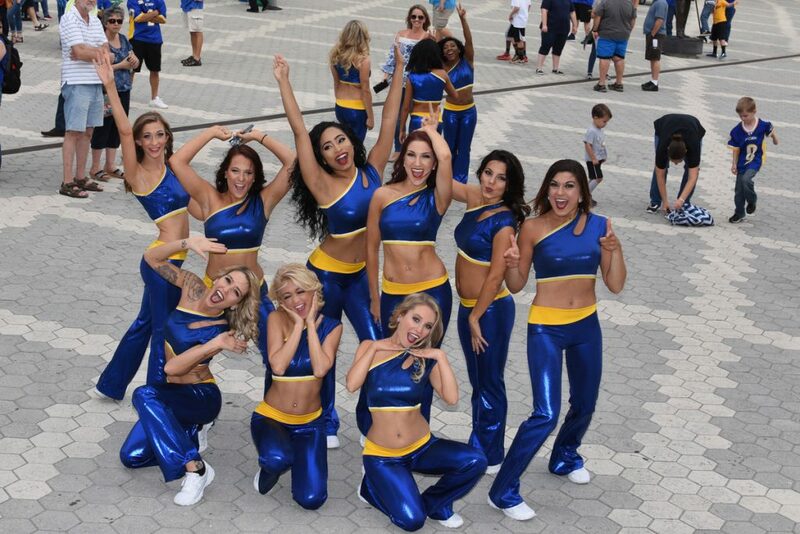 Fun evening as the Storm alumni dancers/cheerleaders returned for a night of great frolic and celebration of the 25th year anniversary of the franchise. A little AFL history: The team, along with the Chicago Bruisers, Denver Dynamite and Washington Commandos, formed the league as one of the charter franchises in 1987, and is the only one of the four still operating. The franchise was originally located in Pittsburgh. The team relocated to Tampa in 1991, changing its name in the process. The 1991 season saw the advent of cheerleaders (called dancers then) and they have been entertaining fans ever since. 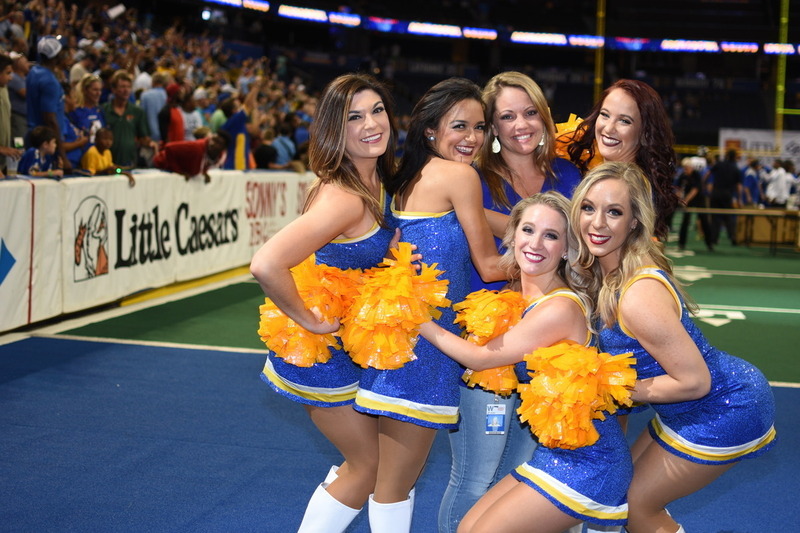 Two members, Melinda and Kimberly, of the original 1991 squad returned for the reunion and danced in the halftime performance. The present day squad is led by Director Kindra Stocker Ebanks. 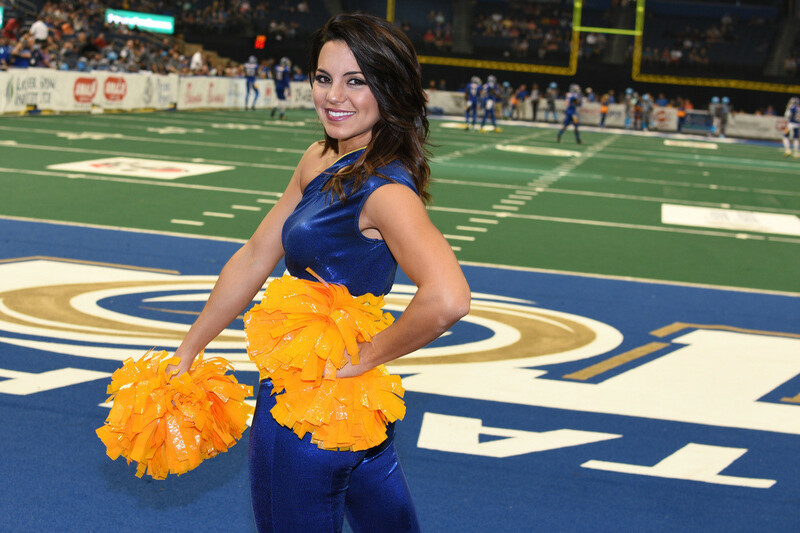 Starting in 1998, Kindra spent three seasons as a Storm cheerleader, also serving as captain. 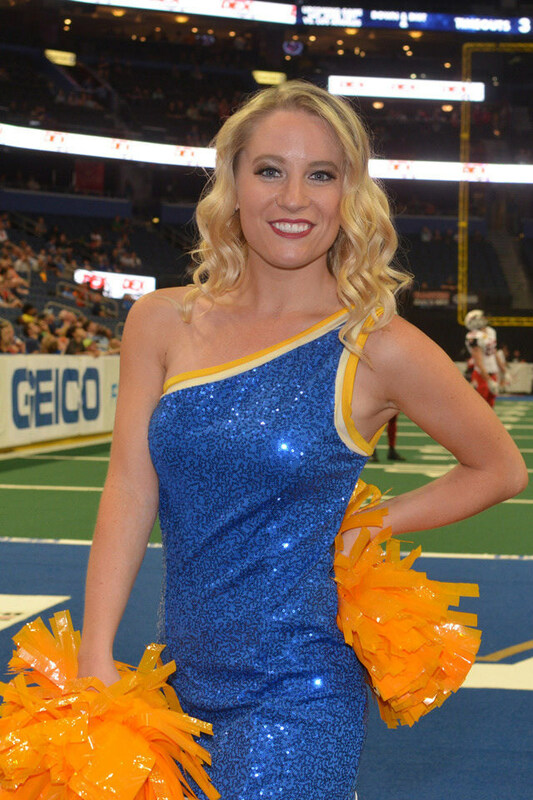 Kindra took over the Director position in the championship year of 2003. 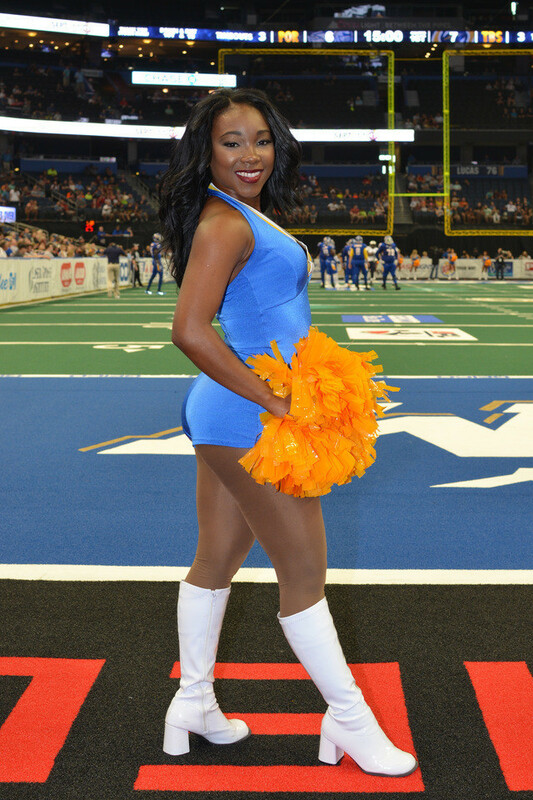 At the request of the AFL, Kindra was selected to be Co-Director and Choreographer for the Arena Bowl All-Star Dancers in the 2004 and 2005 seasons. Melinda and Kimberly were on the original 1991 squad. 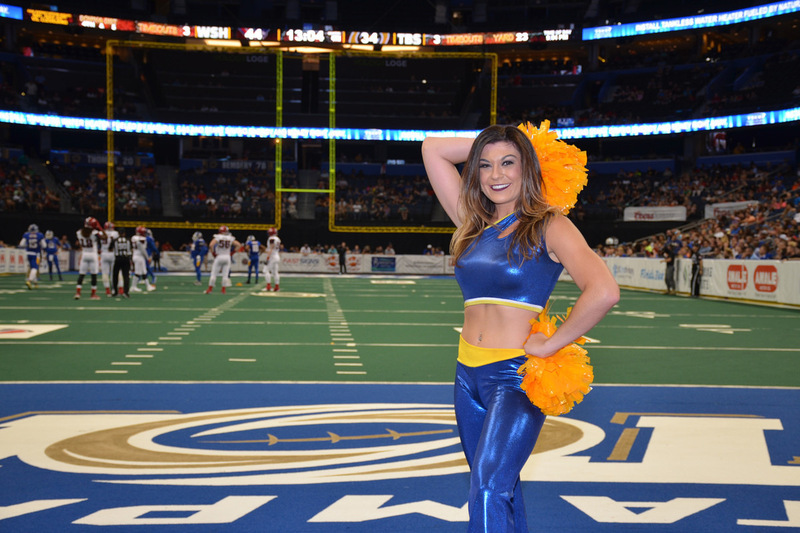 Last Saturday I had the pleasure of covering the talented and beautiful cheerleader squad of the AFL Tampa Bay Storm. 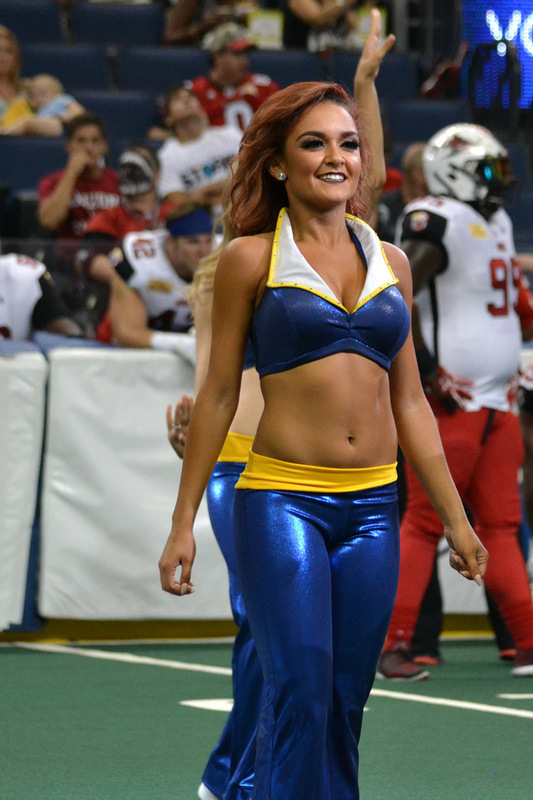 Although the evening didn’t produce a victory for the Storm, the entertainment of Arena Football is always enjoyable. Great fan friendly night of fun. Co-captains are Lexxie, who performs at Universal and Disney and Allison who strives to use her college schooling for chemical research positions. Veterans include Cristina who is majoring in communications at the University of South Florida. 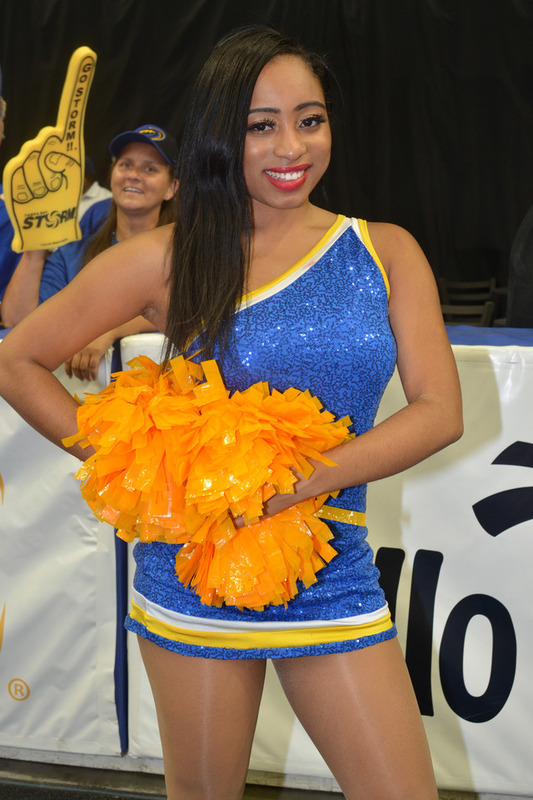 Kayla’s goal is to work for the FBI with her criminology/sociology studies at USF. Kerry is pursuing a Dental Hygienist career. 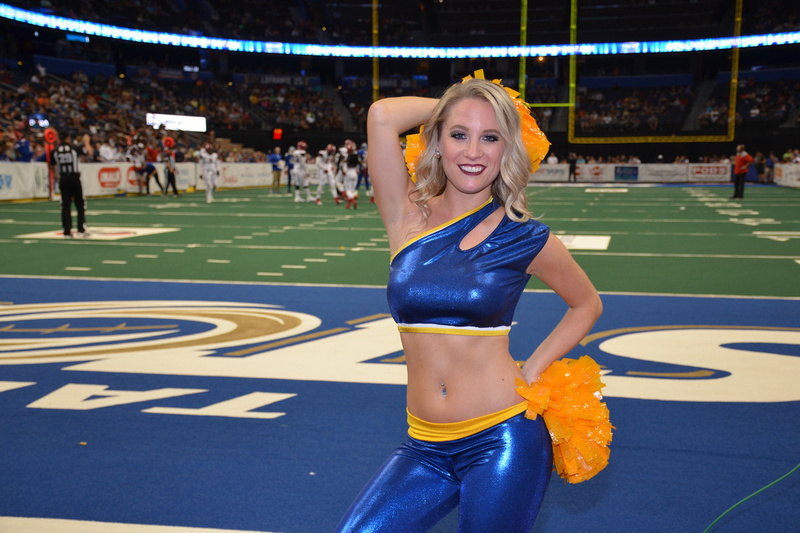 Sara studied Dance at Oklahoma City University. Tyanne is using her Master’s Degree as a Math Instructor for Hillsborough County College. Seven rookies are on the team. AmberD looks to utilize her studies to work as a Head Nurse in the OB/GYN room. AmberA performs at Busch Gardens. 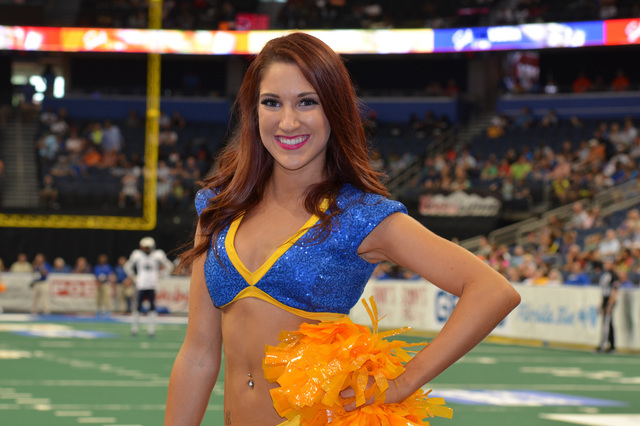 Britny is majoring in Sports Management at the University of Tampa. Dominique is a GUESS sales associate. 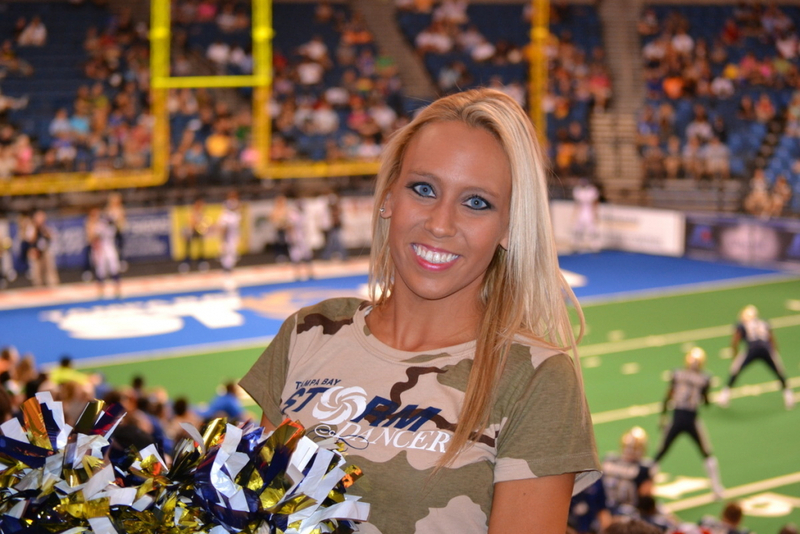 Kelsey is studying Marketing Mass Communication at the University of Central Florida. 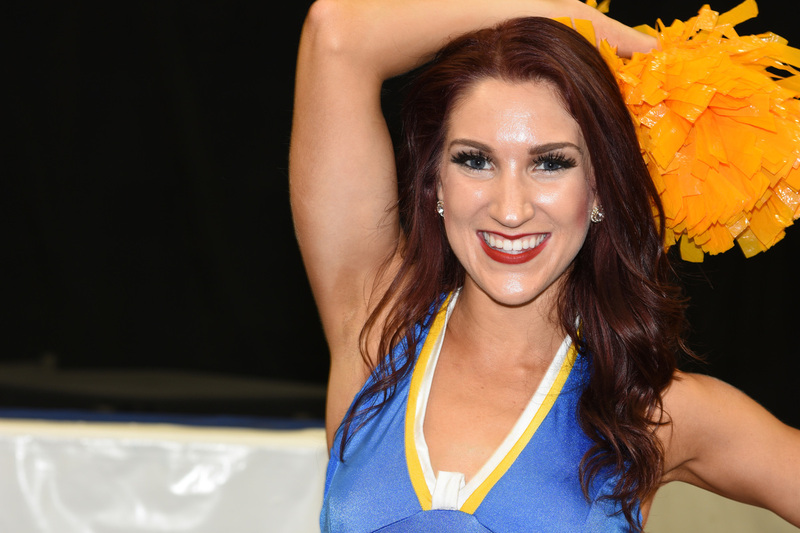 USF’s Stephanie was invited for a Rockette Dancer audition. Keeyawna is also a rookie this year. 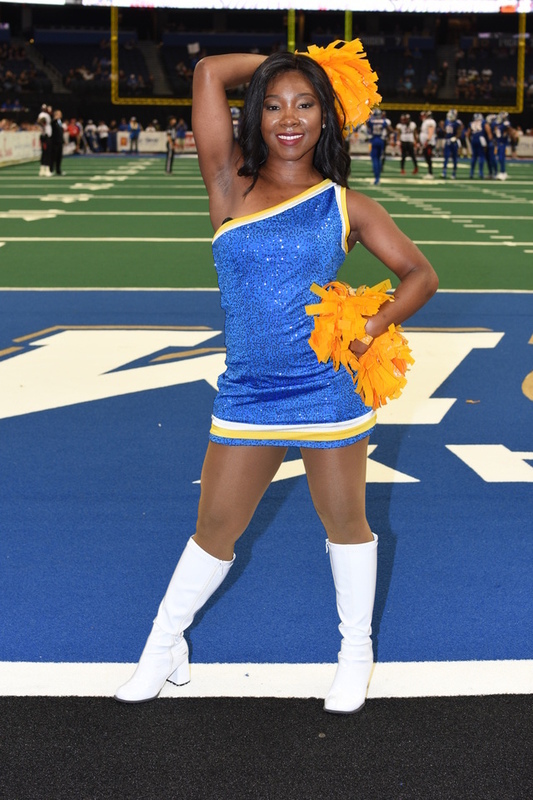 Our thanks out to Manager Kindra Ebanks for allowing Ultimate Cheerleaders access to meet and photograph these fine young ladies. Beauty and talent: the future looks bright. Our Flickr album is here. Link to Cheer bios is here. 2016 Captains, Allison and Lexxie.